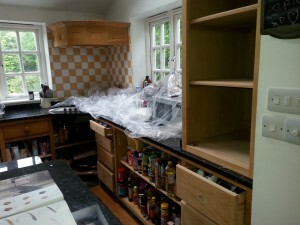 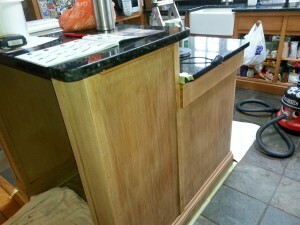 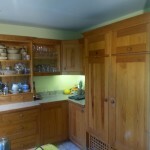 This was a really well Hand made bespoke Oak Kitchen in Letchworth, Hertfordshire, It required a full refurbishment, The 1st job was to check and ease the doors and drawers on site, Before removing and taking back to the workshop to be completed before refitting. 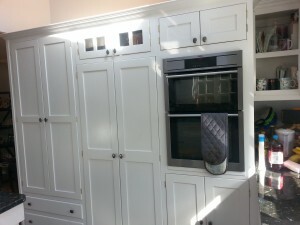 The complete kitchen furniture required layers of old wax and oil removed and a complete clean down to degrease before any painting could commence. 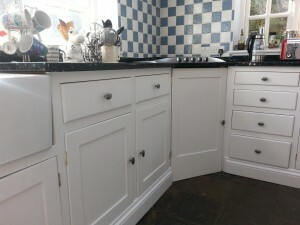 The final job was to supply and fit New Hinges and Solid Pewter Handles which complemented the Hand Paint Finish in off white. 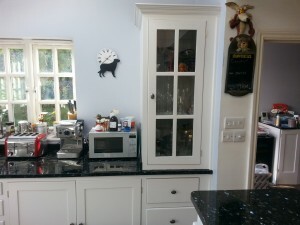 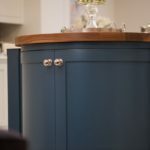 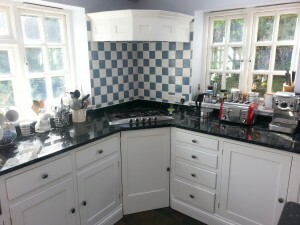 This Kitchen was a great example of what can be achieved when professionaly refurbished and Hand Painted by a member of Traditional Painter.com a group of 20 like minded professional Kitchen Painters covering the UK & Ireland. 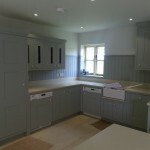 Watch Our Video On A Hand Painted Kitchen Demonstration. 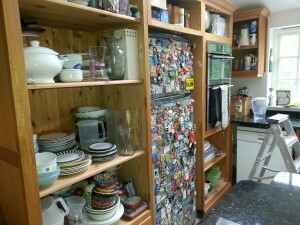 I am a specialist kitchen painter and wallpaper hanger based in Northampton. 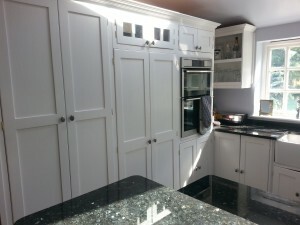 As a member of the Traditional Painter network, WallPaper Hangers Guild and former Dulux Select Fellow, you can be assured that the standard of my workmanship and the service I provide are of the highest order. 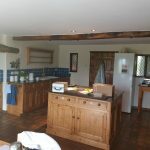 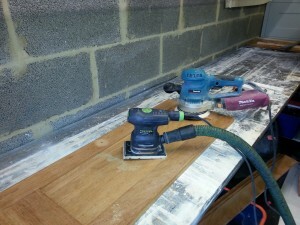 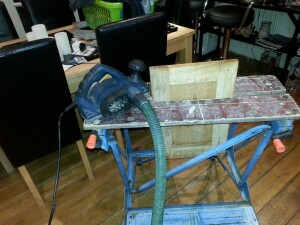 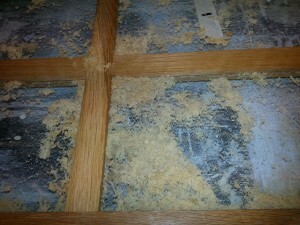 Read my blog where I post case studies and latest articles about the specialist decorating work I do.